In the last segment of this blogging series on how to start a blog, I discussed a couple of hosting solutions that I have had personal experience with that are good solutions for where to house your blog along with a bonus hosting option that I'd heard very good things about. If you haven't had a chance to review that section, please do so.. Part IV of this blogging series can be found here: Starting a blog - the hosting conversation. This next installment will focus on "the money". By that I mean, sure while starting a blog is a big step for many, how to monetize your blog eventually becomes a topic of conversation too. Is it possible to start too soon ? When is the right time to start focusing on when your blog should start paying dividends back to you. How should you go about making your first dollar on your blog ? The answers on this subject are quite literally all over the place. I can't tell you that there's a right or a wrong answer to this either. The strategy or model that you use for monetizing is something worth investigating some real thought into. I've always been of the mindset that your audience "comes first". If you aren't developing content that answers your readers questions then you'll never earn their trust and consequently will never be able to sell them anything.. I don't care how inexpensive it is. Your readers aren't coming to your website to buy something. They are coming to solve a problem. If you can provide them with a solution to their problem you'll get the conversion you want. That solution, even if means spending $1000 dollars is worth it to the consumer if it solves the problem they have. 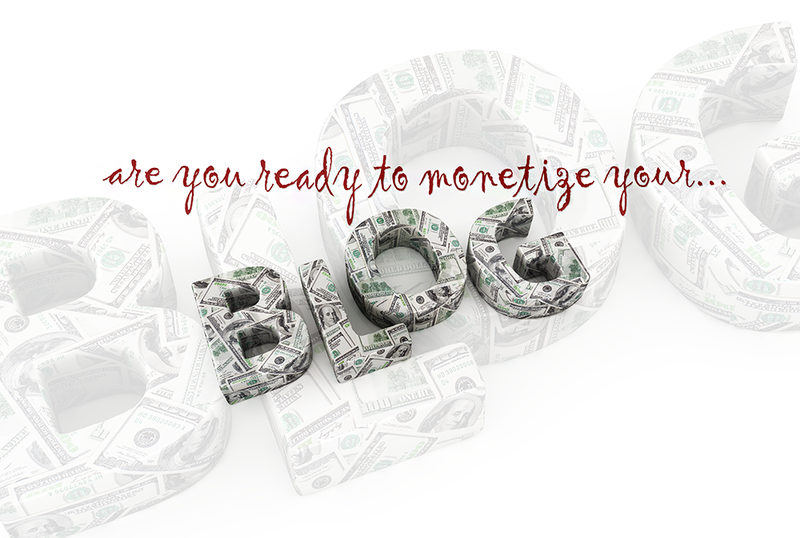 Your readership.. your audience is the focal point as you begin to think about your route to monetization on your blog. Trust cannot be understated and I will continue to hit this point home. Think about the buyer mentality for a moment. Think about what drives you to purchasing decisions. If a seller gives you any inclination that he / she may run away with your money, how likely are you to buy from that person, store or company ? You'd quickly turn and walk the other way just as the rest of us would. As a blogger, if your blog doesn't resonate with your visitors, good luck giving them those "warm fuzzies" that lead to sales and higher conversion rates. Tap into trust and solve the readers problem through your content and related products and you will reap the benefits in increased revenue generated through this process. If you're looking for immediate gratification, this isn't the way, but if you're looking for something that leads to a following and dividends over time, this path is the yellow brick road to success. Understand that your blog is not a brick and mortar business. While you could slap some Google Adsense code on your website and start serving up ads right away hoping that people will click on them, this is not a strategy that I would recommend or advise. Your traditional businesses have products and in the most ideal scenarios, traffic passing by their new stores right away. In this situation, a business has to do "very little" if any advertising to bring people into their new business and yes, they start making money right away. Your blog is not going to be so fortunate without some intentional intervention on your part. As you understand in the scenario I just spoke of, regardless of how great your product may be or how great you "think" it may be, without traffic.. without people visiting your blog,.. you're basically a drop of water in an ocean of other drops of water. Without traffic, monetization becomes pretty disappointing, because the huge, unavoidable reality is without visitors, you stand no chance at all to generate any revenue from your blog. Monetization has been integrated into this blog as "related products" more or less. This integration made much more sense to me than taking the route that I've seen others explore. This blog does not seek to push products for the sake of pushing products for personal financial gain. Additionally, if you were to follow my monetization model, I typically only share products with which I have had personal experience with and that I feel would be of benefit to my readership. If there's no benefit or it is not a solution for my readers then I do not see any purpose in integrating it into any post on this blog. 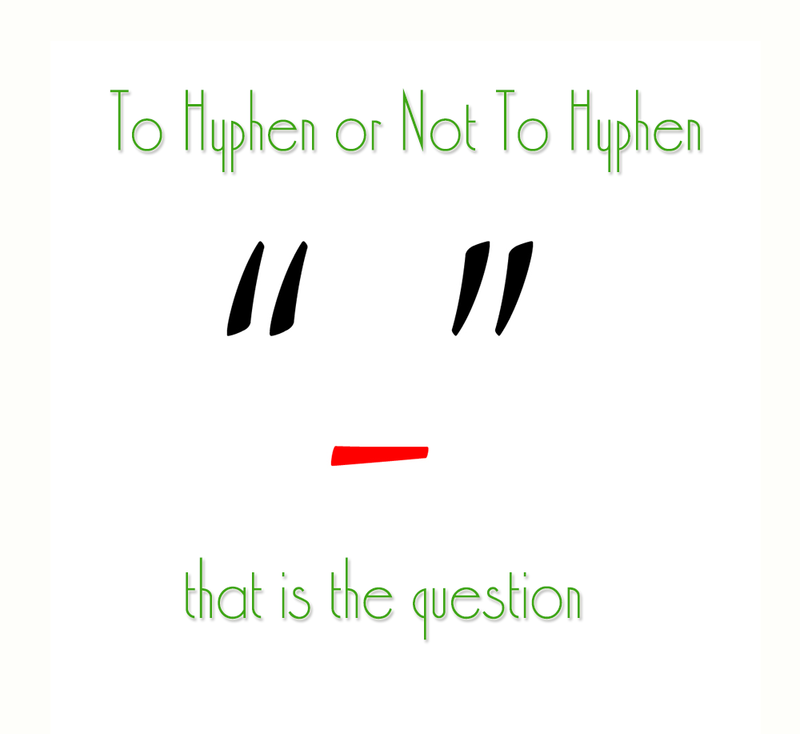 Most common option that many bloggers use. It doesn't require that you have your own product and you receive a commission (typically a fixed designated amount) from each lead or sale provided. If you find tools or products that you love and want to share them with others, use your affiliate links to promote those products. I have done the very same thing here on my blog. Nevertheless, with that said, in my personal experience, these are the recommendations that will give you the most consistency and greatest success. Now this one scares a lot of people because let's face it.. product creation just sounds hard. However, creating your own products isn't as difficult as you may think. Create your own ebook using Wordpress or create a Wordpress plugin through freelance websites for less than a couple hundred dollars for example, outsource creation of a Wordpress theme or go to Cafe Press and put your logo or design on any number of products that you can sell on your own blogs. Additionally, making the decision to offer writing services or give blogging consultations are services that you can sell directly on your blog at prices that you set yourself. There are many other ideas out there, but those are just a few that came to mind. What is the route to monetization that you would like to take ? What model do you want to pursue ? Monetization is an eventual reality for anyone that owns a blog, but when and how you decide to do it can and will impact the degree of success that comes along with the decisions that you make with respect to it. 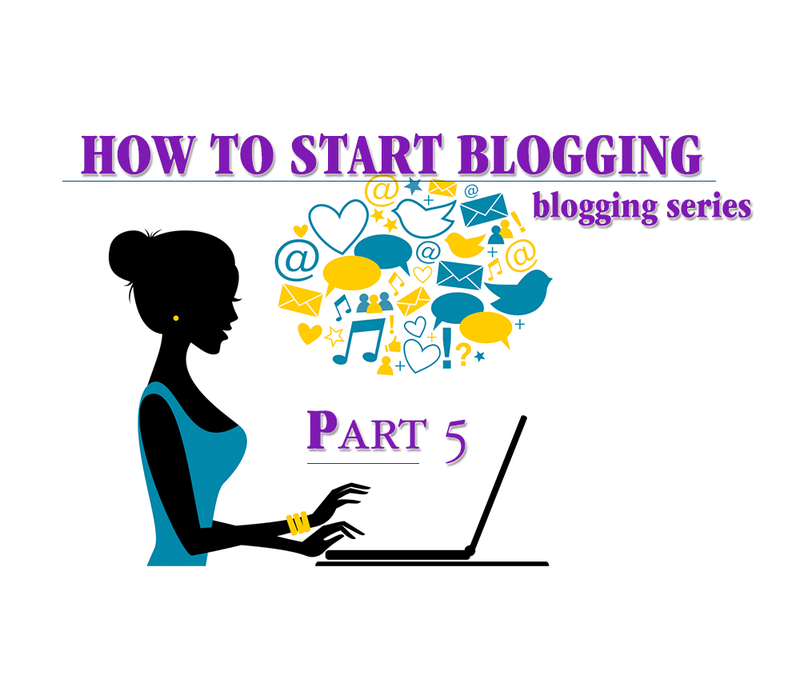 This blogging series will be coming to an end soon, but in the meantime stay tuned for the next chapter as we continue the discussion on how to start a blog.